Despite finding 11 emaciated children, one dead child's body, and plots to carry out school shootings in the United States, a group of terror suspects was ordered to be released. Taos, NM — In a shocking turn of events, the five accused child abuse suspects — arrested last week for allegedly training children to carry out school shootings — were released by a New Mexico judge despite frightening evidence against them. In what can be referred to as the biggest ‘WTF’ moment of the week, following a hearing on Monday, Taos District Court Judge Sarah Backus released all five defendants charged with abusing 11 children at a compound near Amalia, New Mexico. To those who may not be familiar, the five accused suspects — Siraj Ibn Wahhaj, 40, Lucas Morton, 40, Jany Leveille, 35, Hujrah Wahhaj, 37, and Subhannah Wahhaj, 35 — were found on a decrepit compound last week with 11 malnourished children dressed in rags. All of the children were emaciated and there was very little food found on the property. The FBI also discovered the remains of another child who was also found on the compound. On top of the severe child abuse discovered at the site, the FBI found evidence that the group was training to carry out acts of terror—specifically school shootings—inside the US. According to one of the children who is cooperating with authorities—which caused the state to file a motion to hold the suspects without bond—was the fact that they were being trained to carry out school shootings. Prosecutors Tim Hasson and John Lovelace of the 8th Judicial District Attorney’s Office devoted a significant portion of Monday’s hearing to the uncharged allegation that the group had planned to carry out shootings. They drew Backus’ attention to evidence that may prove important as the cases move forward, but their focus may have backfired during the hearing. 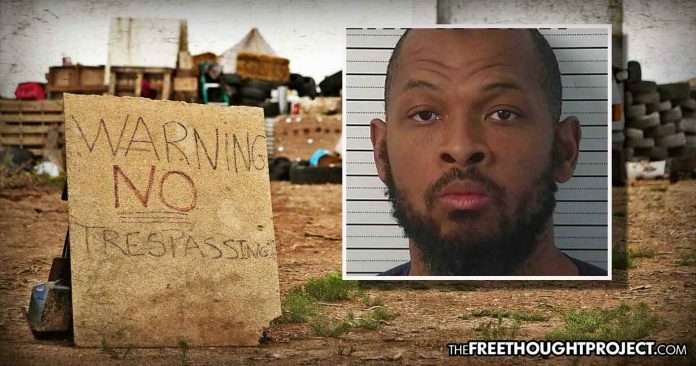 They called on FBI Special Agent Travis Taylor, who testified that two children rescued from the camp told him Siraj Ibn Wahhaj and Leveille had conducted Islamic rituals on 3-year-old Abdul-Ghani Wahhaj. Siraj Ibn Wahhaj allegedly abducted the boy, who is his son, from Georgia last year. During a search last Monday (Aug. 6), investigators unearthed the remains of a small boy, but have not identified them as the missing child. During one of the rituals in February, according to a child witness, the toddler died. According to the FBI, Leveille and Siraj Ibn Wahhaj believed that, after the child died, he would be resurrected as “Jesus.” The child would then instruct the other children on “corrupt institutions” they were to attack, the agent relayed to the courtroom. The FBI also found a letter from an unknown individual, sent to Siraj Ibn Wahhaj’s brother, Muhammed Wahhaj, asking him to bring money and guns to New Mexico so he could die as a martyr. “The evidence as a whole says this family was on a mission, and a violent one,” Hassan told the court. Defendants for the suspects disagree, claiming that prosecutors are going after them because of their race and religion. All five suspects could now be released as early as Tuesday. No one here is arguing that these suspects deserve to lose their right to due process. However, if everything the child witnesses are saying is true, they are clearly a threat. What’s more, we have seen instances of individuals caught with marijuana before who’ve been held without bond and they weren’t suspected of planning to shoot up schools either. Also, we can look at the case of the children who were found to be neglected in a California home by David Allen Turpin and Louise Anna Turpin. Neither of these two parents were plotting to carry out terror attacks, yet their bail was set at $12 million each. The idea that overwhelming evidence exists showing that these individuals were severely abusing children—one to the point of death— while threatening to carry out terror attacks against schools in the United States, yet they were still released with such a small bail is certainly odd. As was the case with Nikolas Cruz, police and the FBI had warnings that he threatened to carry out school shootings, yet they chose not to act. Hopefully, this case does not play out in a similar manner.